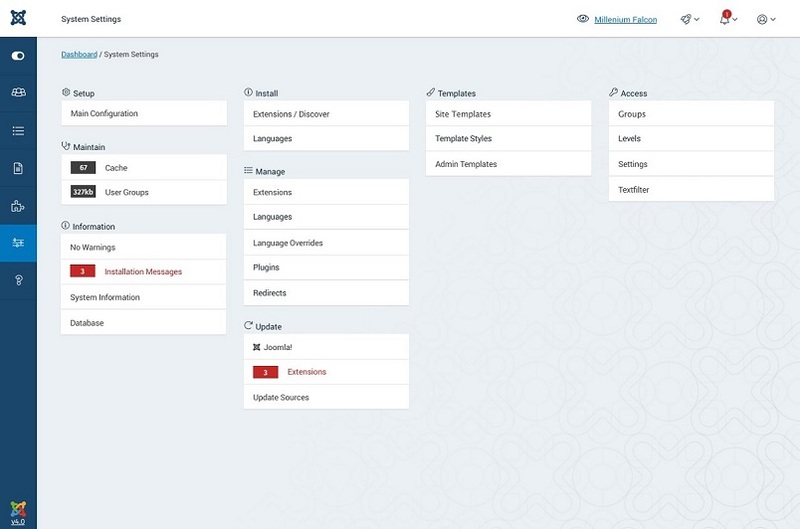 Some changes in the new backend of Joomla 4 you should know! Alpha version of Joomla 4 has been recently released along with many interesting improvements and features, there are even more when Joomla 4 stable version releases. In today article, we are going to discuss about one of the most waited improvements, which are the new user interface of the backend. It now is definitely different and more friendly than it was in Joomla 3. 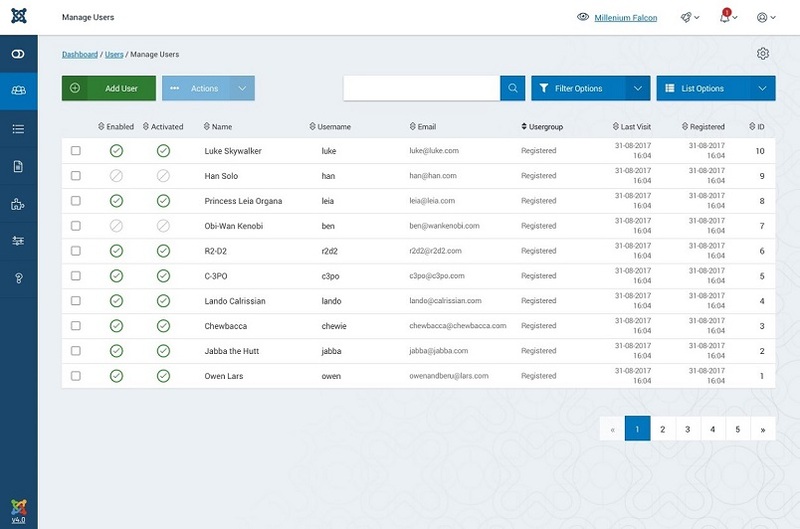 Although the new backend UI has been available in the alpha version, we are still hopefully waiting for more outstanding updates in backend design and prototype. Let’s get figure out what we have now! 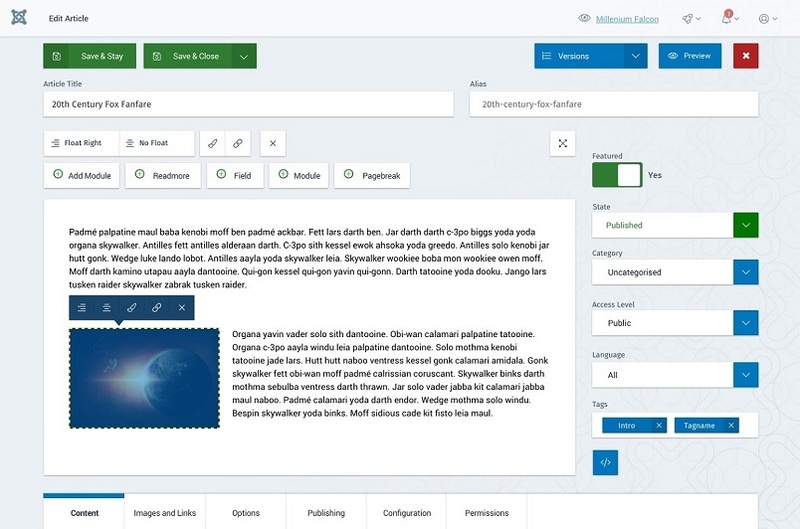 Joomla 4 development team has given the user graphic user interface a better looking. 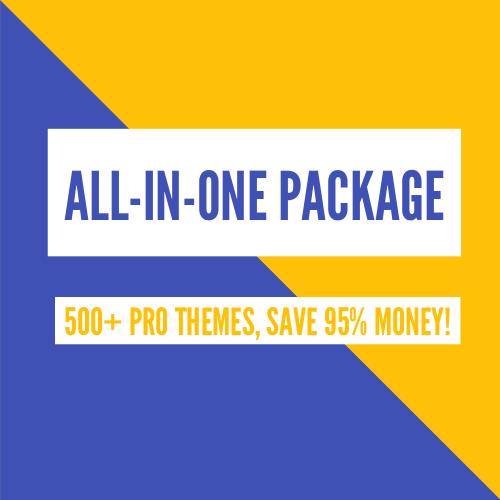 For admin panel, well-known website fonts called “Roboto” are in use to bring admin panel a professional look with a light, bold, thin, regular, black weights style. 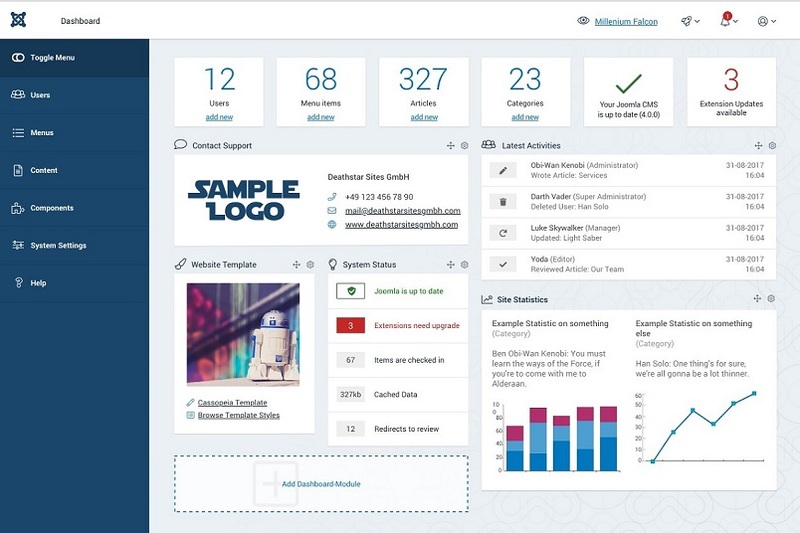 Admin Dashboard of Joomla 4 appears with 2 colours which are light grey and dark blue. The contrast ratio of text foreground colour and background colour must be from 4.5:1 or above as per WCAG 2.0 guidelines. Light grey colour is going to be used for full UI, while dark blue will be in use for the sidebar. This new Joomla Pattern from Joomla 4 allows Joomla fans gather at the same place. Click here if you want to read more about this new pattern. 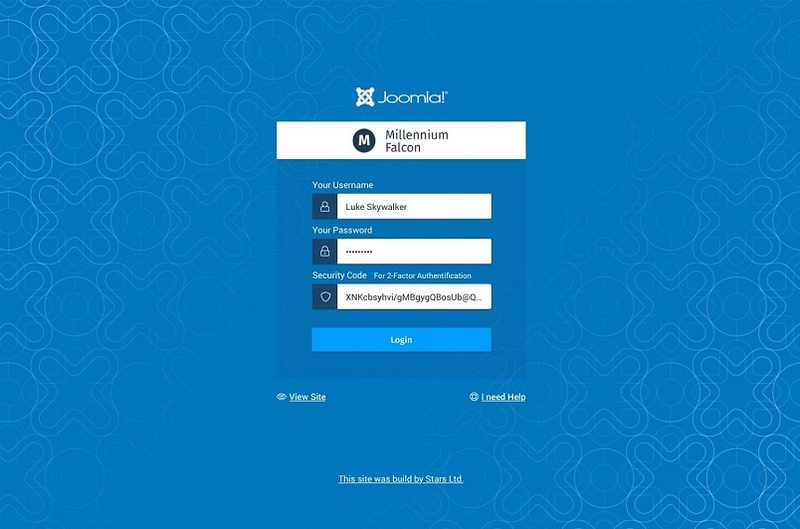 There will be more features will be added in the stable Joomla 4, one of them is the new login page. It will accompany with Joomla 4 new pattern and amazing new look with customizble logo brand. This new login page also allows you to set background image behind login area. There are many improvements for Joomla 4 admin dashboard new interface, especially, there is a new feature which makes your daily workflow on Joomla easier. All menus are now added to sidebar. 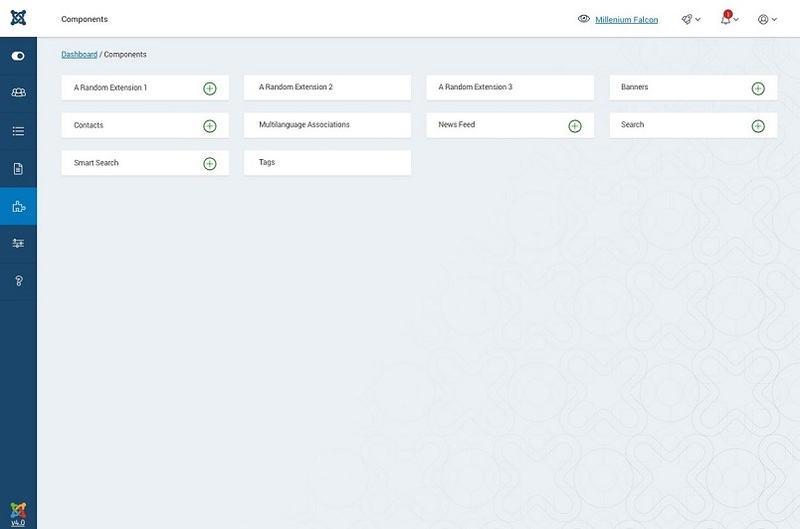 Backend navigation is on sidebar with collapsed option for users to navigate among menu, media, content, components, and templates. Site preview, notifications, private message, edit user buttons are on the top right to bring users a smooth user interface. In Joomla 3.x, menu was on the top of screen and each of them will open another submenu. What will happen if only one menu can do this? Joomla 4 supports AA compliant, now, from the submenu, you are possible to access all areas. If you’re the one who always has problem with accessibility, it’s solved and you can acess submenu item easily. In Joomla 4, menu system is more flexible, the collapsed sidebar of the dashboard offers all options for just 1 click or hover on menu item. Besides, most of menu items will be merged to a menu item. There’s a plus icon for each menu item to give you an option for adding new item, which improves flexibility and helps you manage items fast. 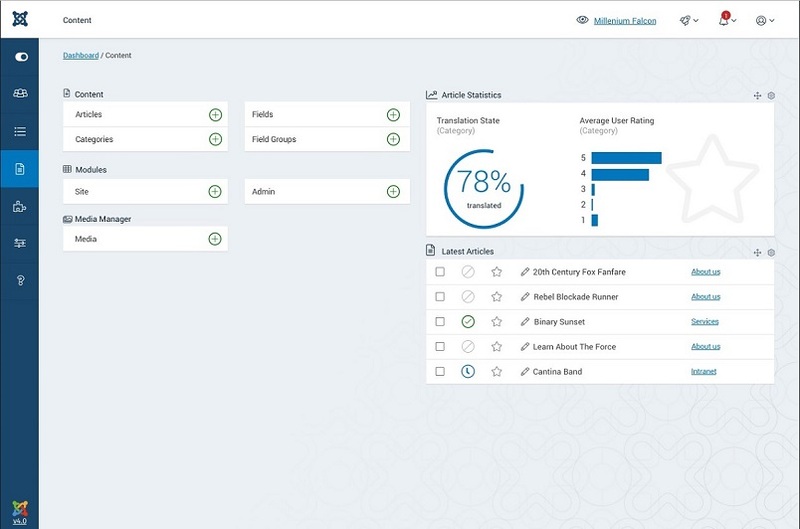 You will view the article, the new media manager, custom fields, and modules, content with user rating and article stats. There’s a core improvement of UI in article manager, which allows you to see buttons to trash and feature article when selecting an article which offers UI a new style. Contain many new classic options to edit image inside content, they use TinyMCE editor. From article images with links option, it’s possible for you to drag&drop to upload images. In addition, by new sidebar menu view, the third submenu level is going to be deleted to bring more space for article editor. Thia page provides all default Joomla components to open more options such as search, smart search, banners,…and more with (+) icons in every component. 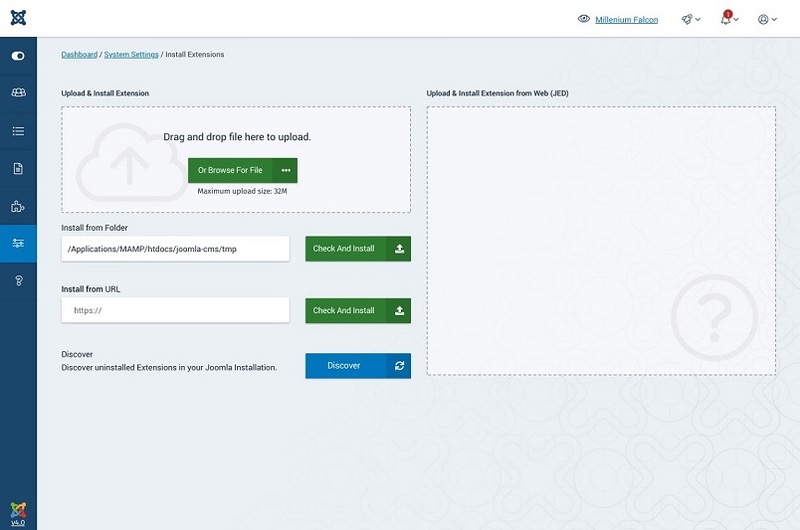 In Joomla 4, extension installation will be on the similar page, now you’re able to install an extension by dragging and dropping a file, from a folder or URL in the same view. You can customize users’ user manager by the new flexible options for setting inactive, disabling, deleting users and batch. When you select a user, Action tab will be actived. 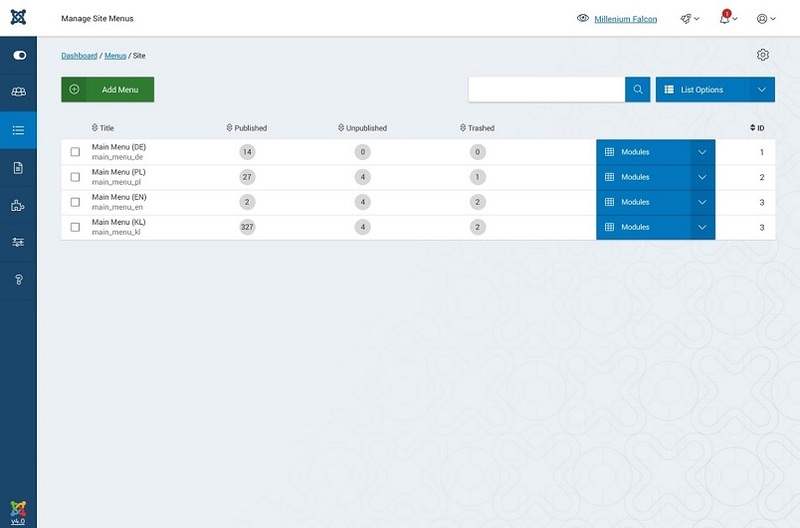 It offers full of configurations options to setup, templates, install, cache, access level, manage, update. Any option is able to access on one page. Joomla 4 brings you a mobile view with a professional and elegant look when opening Admin Dashboard on mobile device. It’s completely responsive to mobile to access any options. 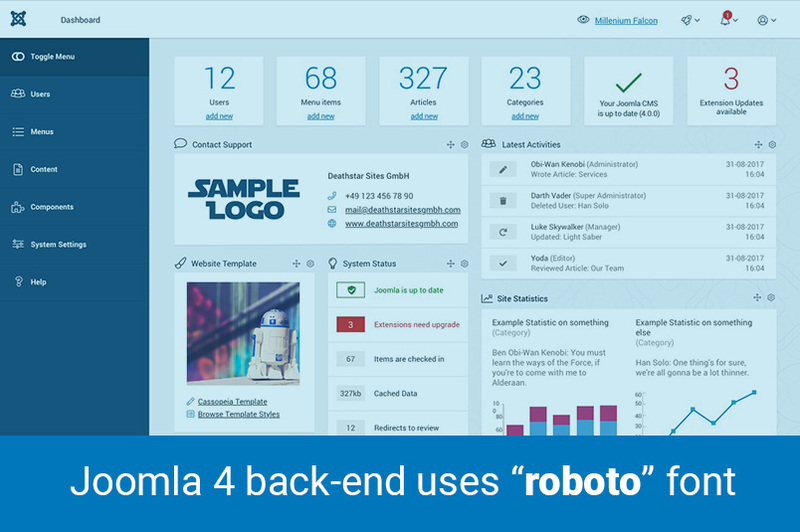 That’s all of our article today about the new backend of Joomla 4! Don’t forget to share with your friends if you find this post is helpful!